Is there a better alternative to Veta S40? Is Veta S40 really the best app in Other category? 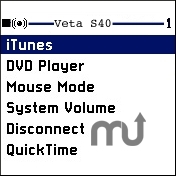 Will Veta S40 work good on macOS 10.13.4? Dialog views display several lines of static text instead scrolling one line. Registration form has been removed. Nokia 6230 phone, Mac OS X with Bluetooth, Romeo. Veta S40 needs a rating. Be the first to rate this app and get the discussion started!